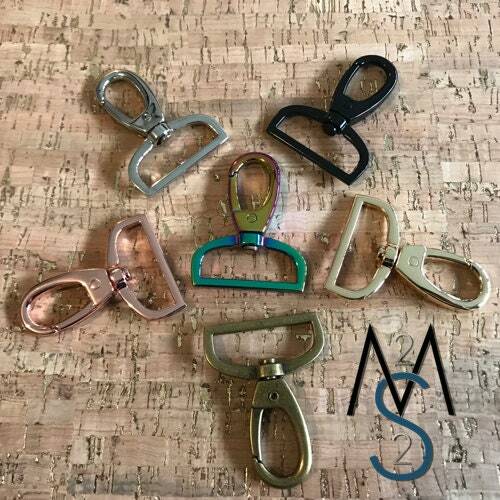 Swivel clips to fit bag straps of 1-1/2 Inch width or smaller. Choose finish and quantity from drop down. Again, shipped fast , will purchase more!